Litterati is a web-enabled movement to Instagram litter, and then bin it—in the process generating data with which to lobby brands and city councils about policies about packaging or waste. It was founded by Californian Jeff Kirschner, who started the project after walking in the woods with his children and says his vision is ‘to build a trash-free world’. Photographing litter that has been thrown away is a strong lever for behaviour change. The pictures can be beautiful, and posting them with the Litterati hashtag validates people’s sense of doing something good. It allows them to be part of a movement and inspires them to continue. But it is the information, geotagging etc, that is the really valuable part. Armed with sufficient information about where and what litter is found (participants use keywords to flag the product and brand), Kirschner plans to lobby brands to make less environmentally damaging packaging and city councils to increase refuse services in areas with high concentrations of rubbish. 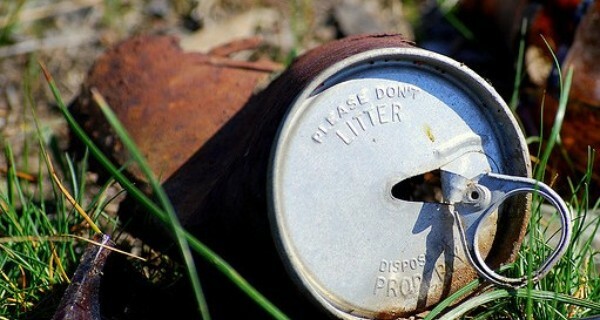 The site has mapped 58,400 items of litter so far, with the highest contributions in the US. Data yields shows plastic, cigarettes, McDonalds, Starbucks, Alumnium, plastic bags, plastic wrappers, Styrofoam and Coke, are among the prime offenders. ‘I remembered a lesson I learned as a kid at summer camp. Just before our parents visited, our camp director would instruct each of us to pick up five pieces of trash. 200 kids x five pieces a kid = a cleaner camp. So why not apply that same crowdsourced model to the entire planet? And leverage technology to do it,’ says Kirschner. Although at the outset, in Autumn 2012, it was just him contributing to the ‘digital landfill’ gallery, 10 bits of trash a day, the project quickly snowballed. Schools are now some of the most active participants, with some lobbying the catering department to make changes to packaging as a result of their Instagramming.